God's faithfulness to the San Jose Christian School community continues each year. We are partners with people who have been generous in philanthropic support of SJCS and our mission. Knowing the ways in which these individuals have cared for SJCS over the years is such a rich blessing. This culture of generous giving has allowed the dreams of the San Jose Christian School teachers and students to be realized. At SJCS, students discover their God-given talents and ways that those talents can be used to better their communities. They develop relationships that support them for years to come. They learn more about our Lord so they can share the joy of His love with others and be confident in their beliefs. Generous gifts make all this possible, helping to educate and equip students to change the world for God's glory. SJCS students of today are the future leaders, innovators and explorers who are being grounded in their faith and equipped to lead. Good financial planning honors God, so as you prioritize your stewardship plans, prayerfully consider San Jose Christian School. Every single gift makes a difference in our mission. 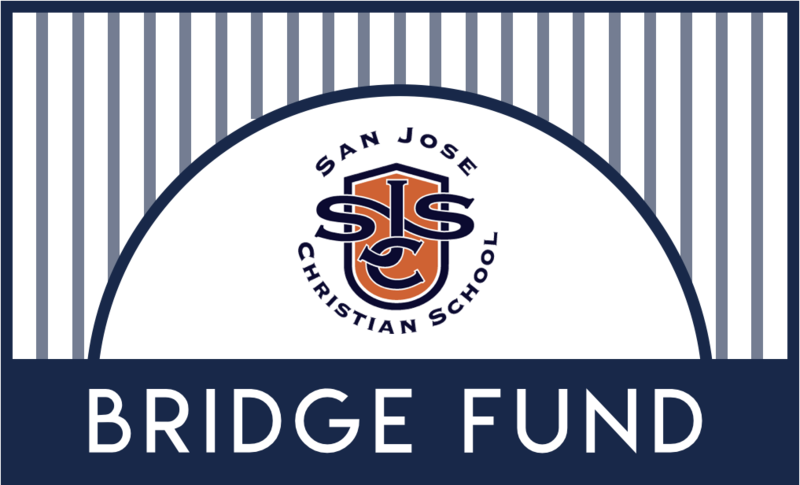 Thank you for thoughtfully considering how you can invest in San Jose Christian School. Three formal opportunities to give are the Walk-a-Thon, Bridge Fund, and Spring Auction, but we accept gifts throughout the year.